Come and see why horse riding is so addictive! Our horses are fun, friendly and waiting to teach you to ride. 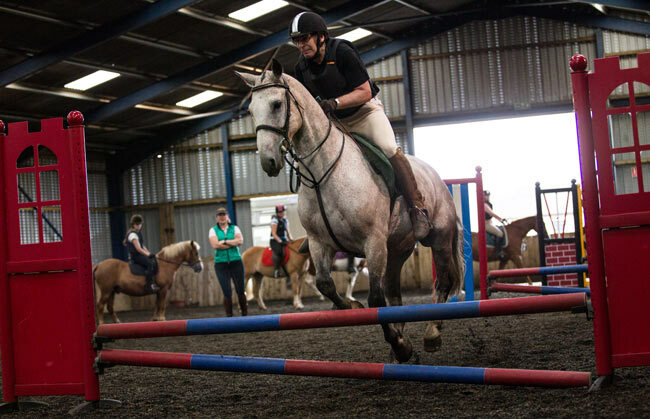 With so much to learn and a life long passion waiting for you, horse riding is the perfect way to unwind and let teh world slip away as you enjoy your time with teh horses and ponies here at Freshfields Equestrian Centre. A lesson that will change your life! Horse riding is so much more than just riding. An experience that has huge physical and life health benefits. Try it and see! Why not sign up for our fun days and enjoy everything horsey. Why not bank some money in your account with us and enjoy a FREE lesson. Why not start horse riding today?